We understand that providing a comfortable life for you and your family is a top priority. Our commitment to you is helping you achieve this goal with ease and less stress by providing you with tax guidance on a personal basis. We help you take a proactive approach to tax services and believe tax planning is essential in proper tax preparation. Keeping current on new tax laws and legislation, we are in a position to identify key tax planning opportunities to minimize current and future tax liabilities. We prepare income tax returns for many firefighters each year and we are familiar with the unique tax deductions that are available. Our expertise in preparing tax returns for other professionals provides us with the insight to offer additional tax planning. 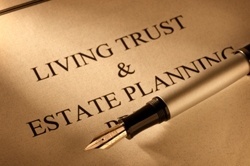 Effective estate planning facilitates the orderly transfer of assets to your beneficiaries, provides security for your surviving spouse, and can reduce or eliminate the estate tax on the transfer of your business and personal assets. For business owners, providing business continuity and succession of ownership is essential. We can guide you through the complex process of organizing your financial affairs. We can assist you with filing the Estate tax returns, Gift tax returns funding the sub-trust, and the Fiduciary returns. Don’t go through the uncertainty and anguish of an IRS audit alone. We provide audit assistance. This is one of our strengths! 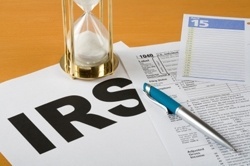 In the event of a tax audit, we are qualified to represent you on behalf of the IRS. We have represented many taxpayers and businesses on IRS audits which resulted in no additional tax owed and have taken cases to appeals and reversed erroneous tax and penalties.